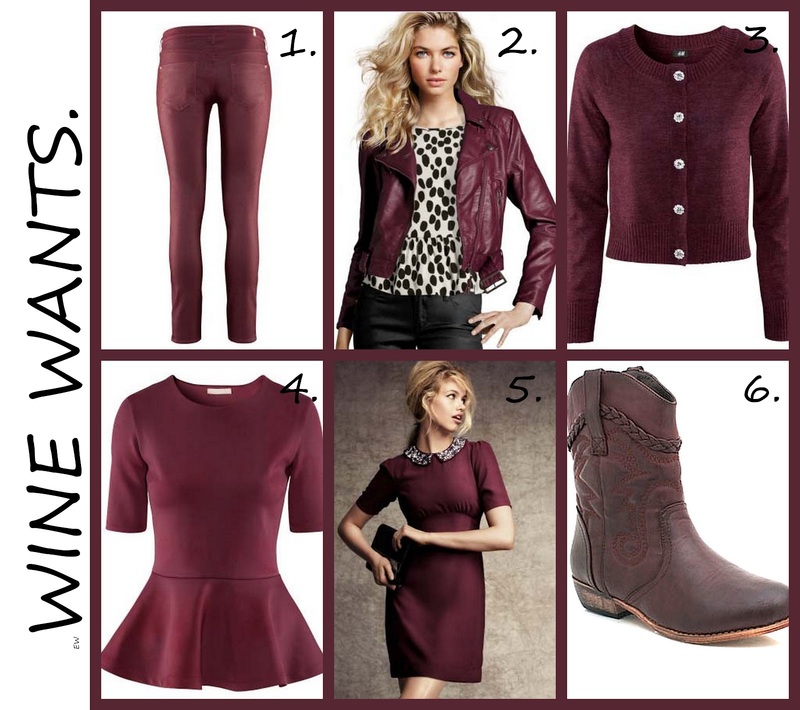 Candice Marie's Closet: Burgundy Wine. 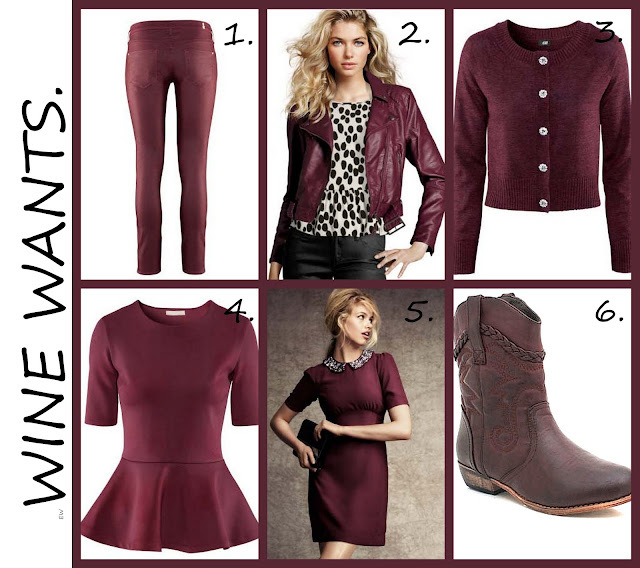 Loving the burgundy/wine color for Fall. Last week I picked out some favorites from a few sites, and I never got to uploading (sorry!) until now. Two items are no longer on the website or I just didn't see them again. Unfortunately H & M doesn't have an online store, so it is hit or miss if you go out hunting for this stuff. I purchased #1 and a shirt similar to #4 (I wore a cream colored version to Houston's FNO with jeans and spiked flats). 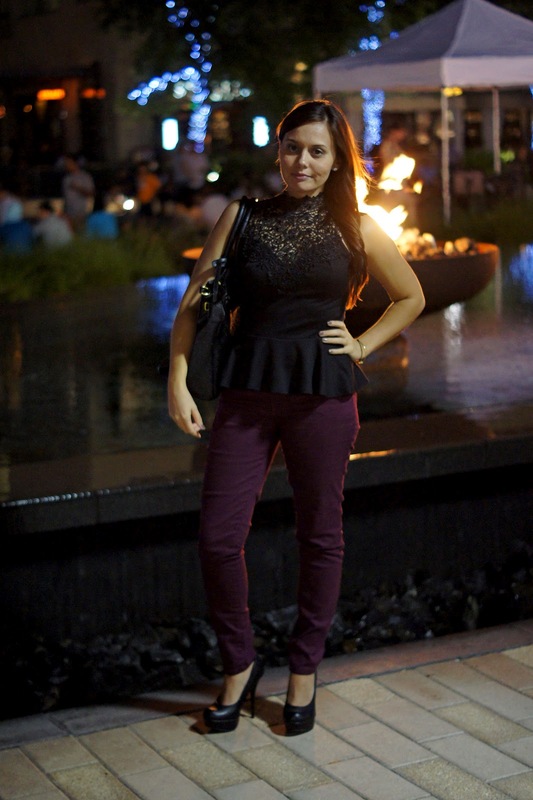 This weekend we went out for drinks with some new friends and I wore my burgundy colored jeans. They are SO COMFORTABLE. They were $15, so I think that makes me love them even more. They photograph with a purple-ish tone (annoying), but not the case in person.